You know the drill – pop a brewski, get the tunes jamin, don your ugliest apron, and make sure your dog is downright embarrassed to know you while you’re belting high notes into your spatula. You can even get dressed up in green if you really want… I’ll allow it. 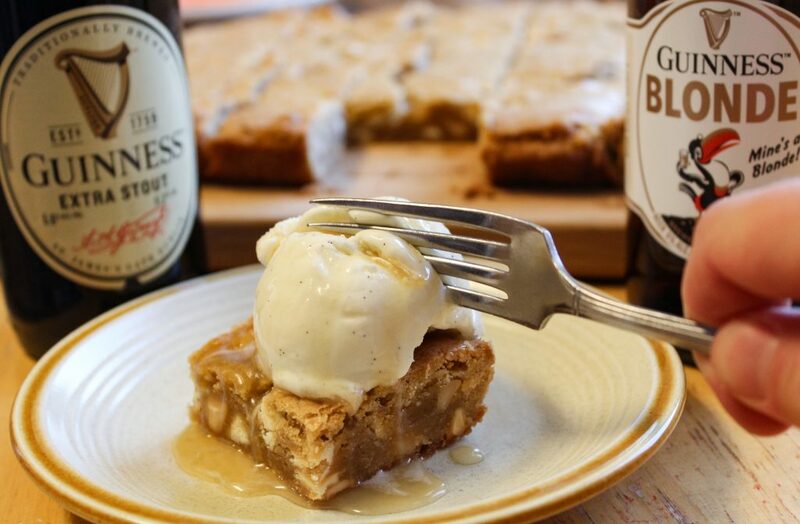 Once you’ve got beer in the glass, get some beer in the pan. If the beer is room temperature, this will help a little bit with foaming. 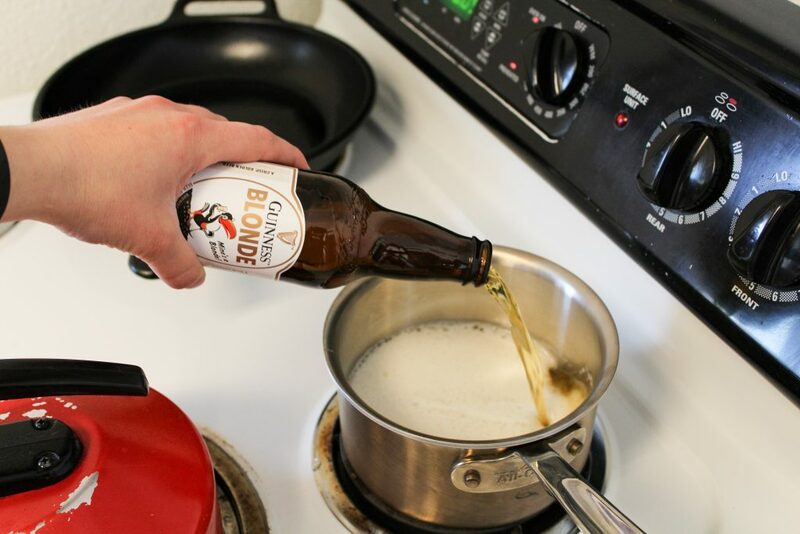 Pour all 12 ounces of Guinness Blonde into the saucepan, and set to a medium-high heat. 6 ½ worked well for my coil stove top. If you’re not watching closely, the carbonation will come out of suspension all at once and make a mess. Don’t do what I did. Reduce the beer until it’s about ⅓ of its original volume (12 oz → 4 oz). Split the reduced liquid into two equal parts (~ 2 ounces each). 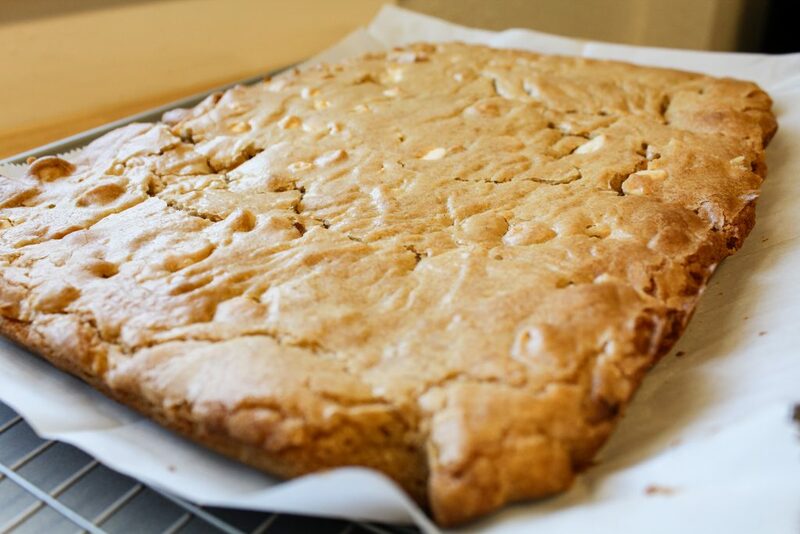 Preheat the oven to 350 degrees F and place a sheet of parchment paper in your 13” x 9” pan. 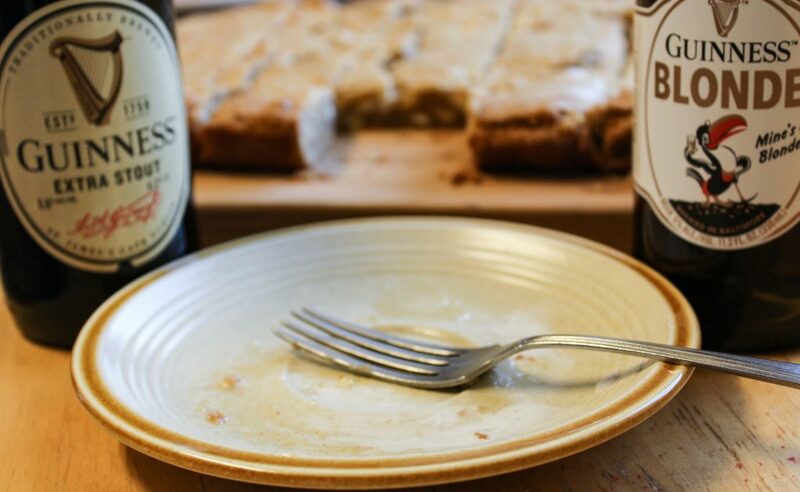 Melt your butter in a bowl in the microwave, or melt it in the saucepan you just used to reduce the beer. 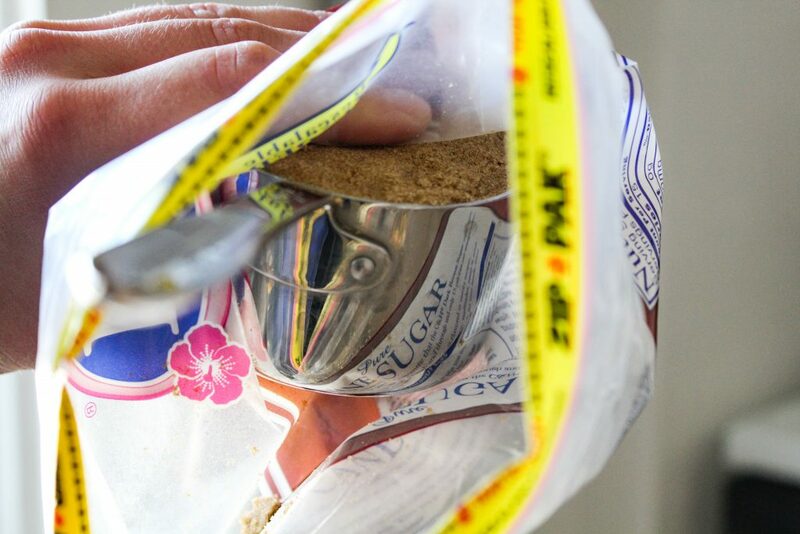 Pack the brown sugar in the measuring cup inside of the bag to avoid messy fingers! 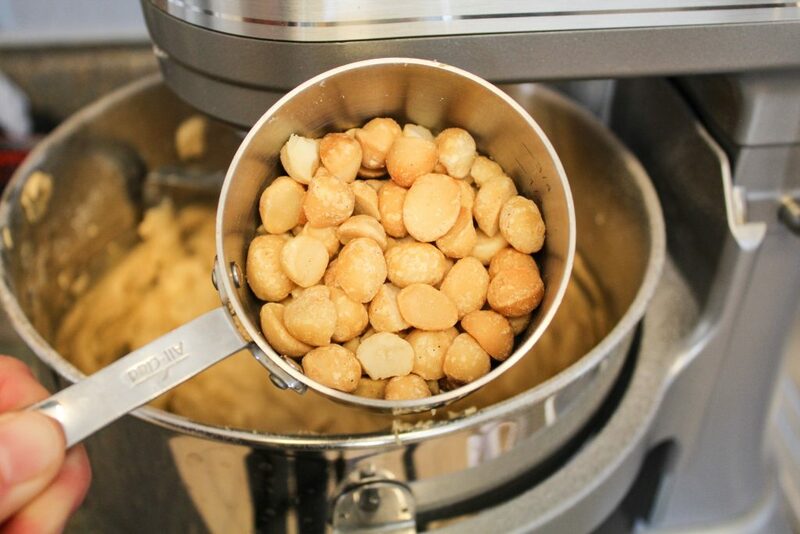 Combine the melted butter, brown sugar, and white sugar in the stand mixer and turn on until well mixed and the sugar as dissolved. Scrape down the sides with a spatula if you like. Add your egg stuff, vanilla, and 2 ounces of reduced beer and continue mixing. In a separate bowl, combine your flour, cornstarch, baking powder, and salt. Whisk until well incorporated. 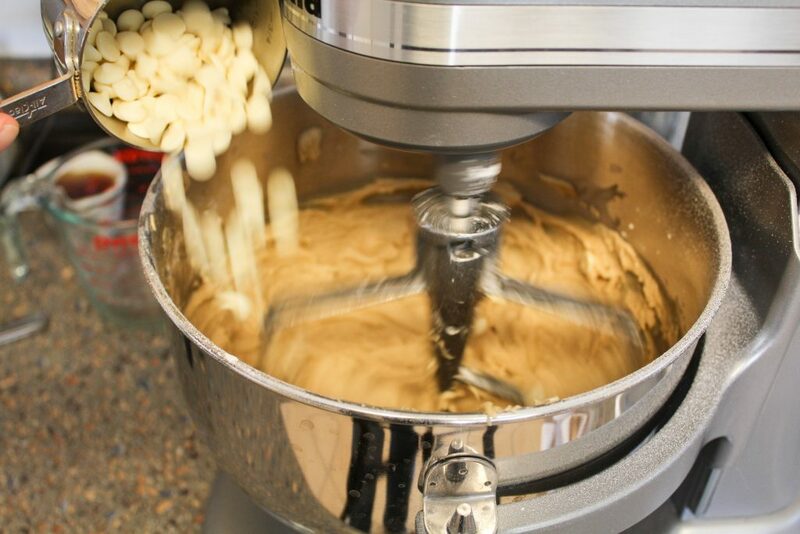 With your stand mixer on, slowly pour in the dry ingredients until everything is homogeneous and doughy. Work that spatula magic again if needed. 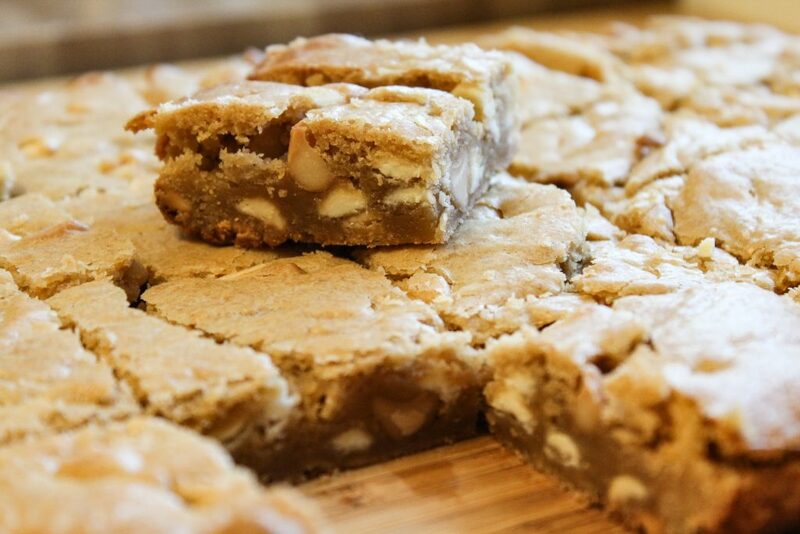 Pop in your extras – white chocolate chips, macadamia nuts, or whatever you like – and let the mixer run on low until all the goodies are folded in. Don’t put that spatula down yet. 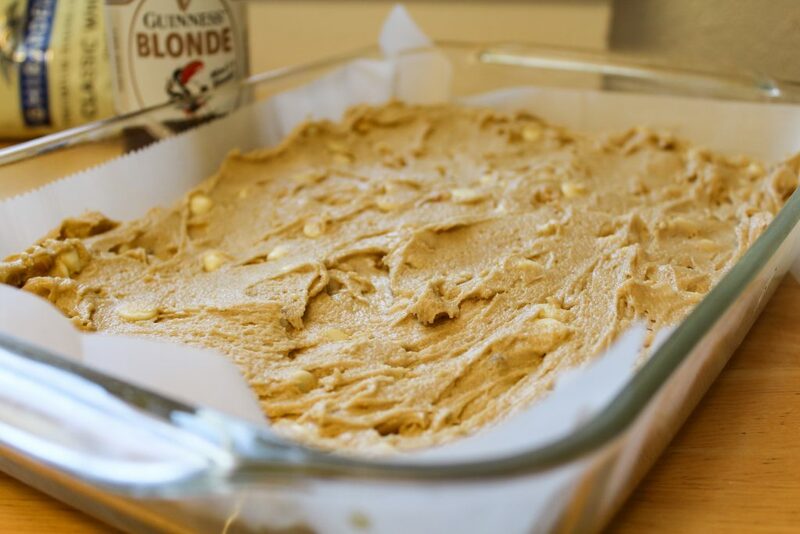 Use it to get every last morsel of soon-to-be-blondie in to the 13” x 9” pan. 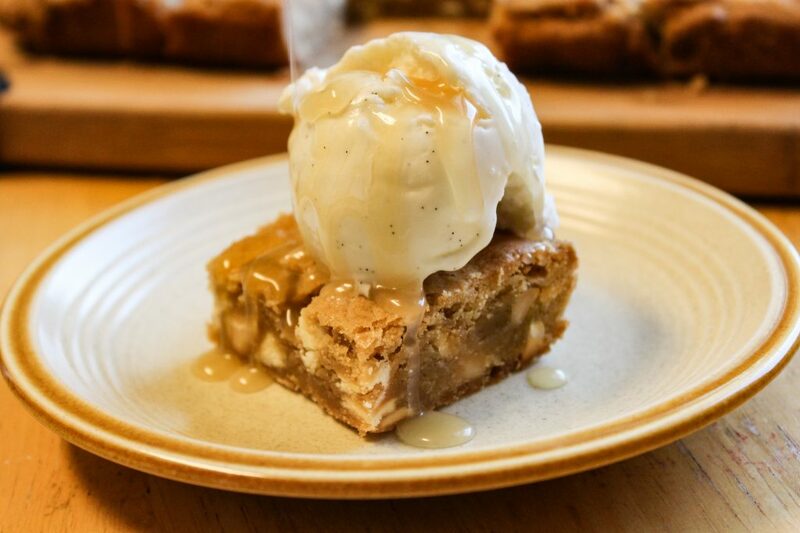 Let those beautiful blondies cool while you get the Jameson caramel rolling. 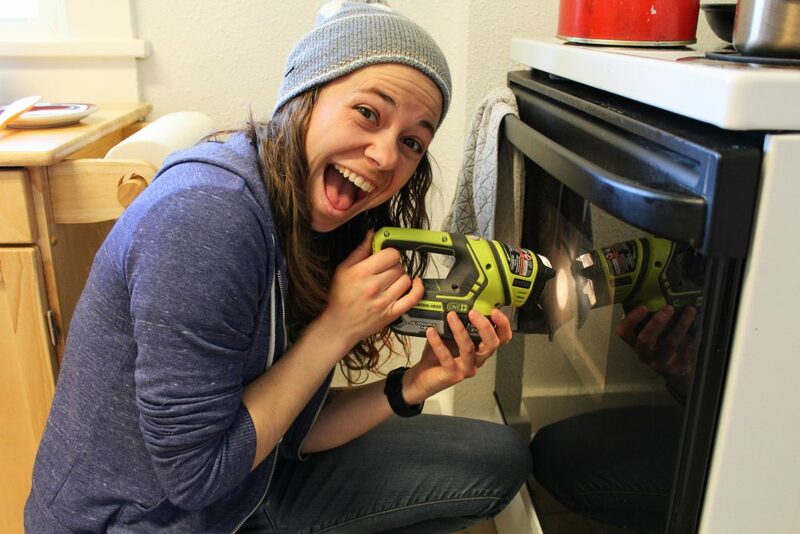 Fun Fact: My oven light has never worked! 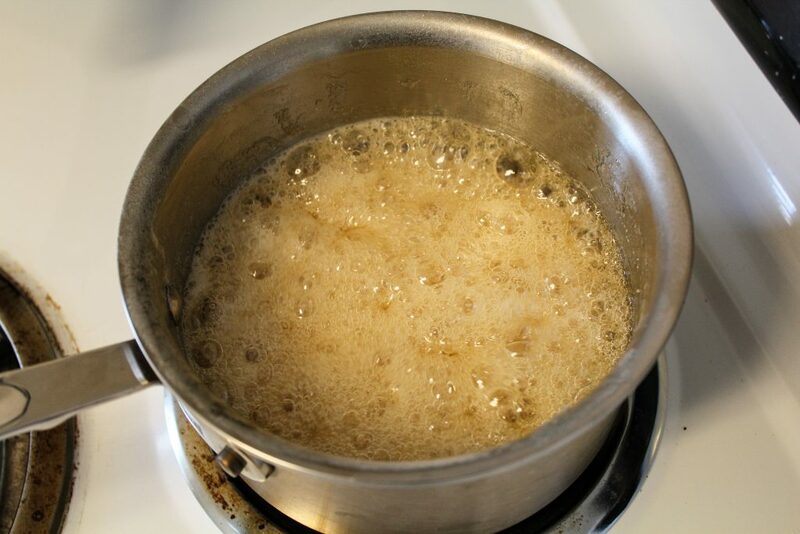 Place white sugar and reduced beer in a saucepan and boil over medium-high heat. 6 ½ worked well on a coil stove top for me. Use a small spatula to scrape down the sides as needed. I found picking up the pan off the heat for a few seconds and swirling was a good thing. After about five minutes, remove from the heat, add the salt, cream, and whiskey, and continue swirling to combine. I’d probably get the spatula involved again to make extra sure all the bits are in with the other bits. Take her back to the heat and let everything get cozy and homogeneous. Once you’re happy, remove from the heat and allow to cool. It’s not a bad idea to pour the caramel in smaller containers for later consumption or refrigeration. You didn’t forget the ice cream, right? Guess what ya rainbow riding, top hat wearing, buncha fake red-bearded lollygaggers? It’s time to make like a leprechaun and charm your mouth with a taste of pure gold! You won’t know how lucky you are until you’ve had a bite. I accidentally got Guinness stout. I hope they’re still delicious!